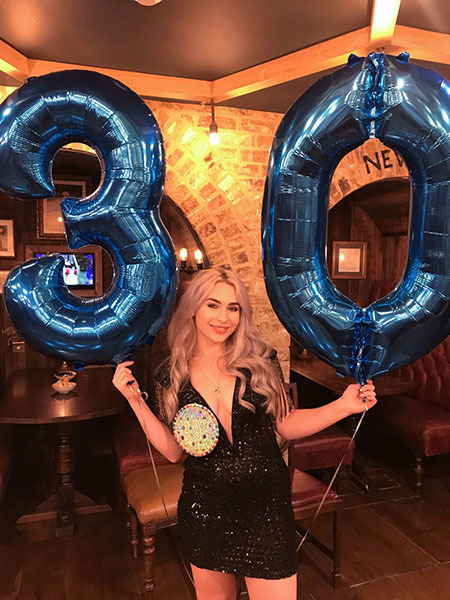 We love working with lovely sparkly people so when we were asked to host a Birthday Party Glitter Station for Katie Snooks’ 30th we were super excited! Katie Snooks is an award nominated British vlogger, BBC presenter, L’Oréal model & Glamour Magazine contributor. Katie vlogs her journey through womanhood talking about everything from style, beauty, relationships, dating and true crime conspiracies. Katie chose a Celestial theme for her Birthday party so a Glitter Station was the perfect fit! Katie’s Birthday party was held in The Hubble Room at The Astronomer in Liverpool Street, London. 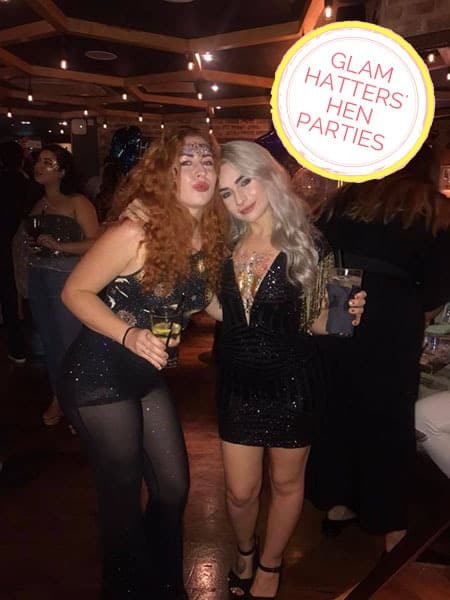 Her super glam friends were absolutely lovely and desperate to get glittered by our Glam Hatter Glitter Girl! 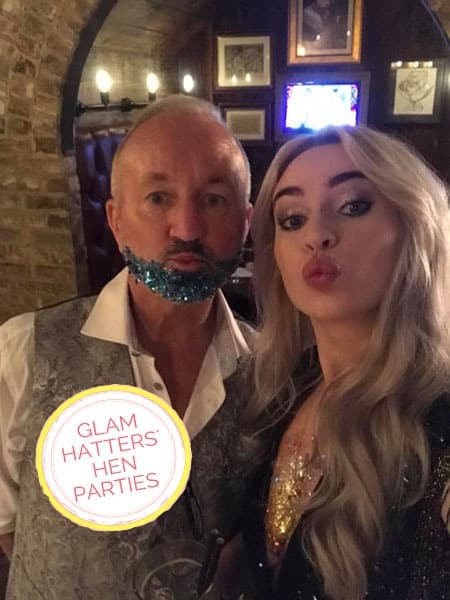 Check out our pop up glitter bar in the pictures below! 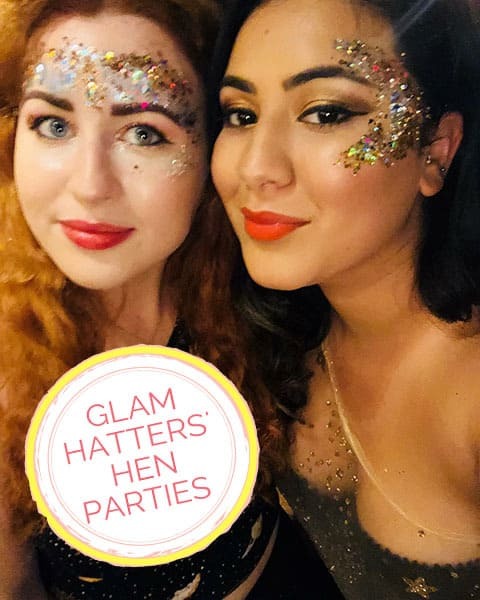 Our Glam Hatter Glitter Artists love to make your hen party sparkle! Available in London and Nationwide. Choose from a creative collection of chunky glitters, gems, sequins and paint from your glitter station. Our gorgeous glitter artists love to create a work of art which reflects your personality. Go wild with colour, monochrome for a fashion forward look or have fun with a shooting star. You will feel super comfortable and have a lot of giggles whilst sitting at our glitter station. 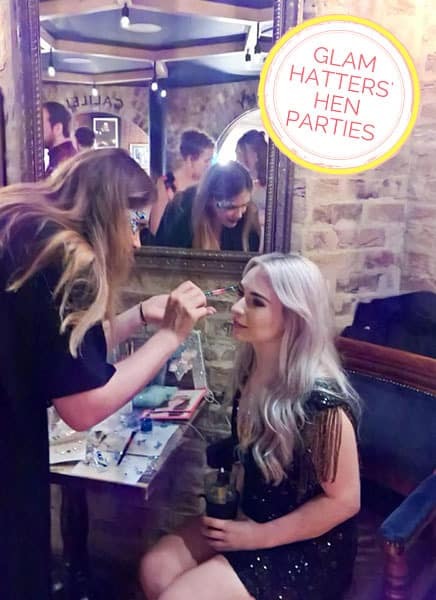 Our artists will create the perfect sparkly look for a fun Birthday Party or Hen Do or book a glitter station for your wedding and keep everyone entertained. Our Glitter Artists can glitter anything from beards to eyebrows, decolletage, backs and faces. Our Glitter Artists bring a huge range of glitter colours so everyone will find a colour that they love. 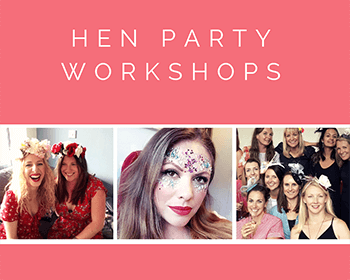 Prices vary according to the size and location of the workshop.Please contact Janie on the form below with details of your hen party and she will be delighted to give you a quote and for your Glitter Station. 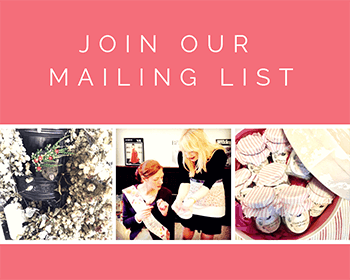 We would love to host your party and will make sure you have a lovely time with us! If you would like to see photos of past parties we have thrown check out our Facebook page. If you have any budget requirements, please DO ASK. We will always, always do our best to help you. Katie recently worked with L’Oreal to become the face of one of their new products in the Colorista range & has also worked with some of the most prominent brands in the U.K including Estee Lauder Companies, Primark, Fiat and Rimmel London. You can catch Katie’s videos twice a week, every Wednesday and Sunday as well as weekly blog posts! What date would you like? Where would you like your party – town/city? 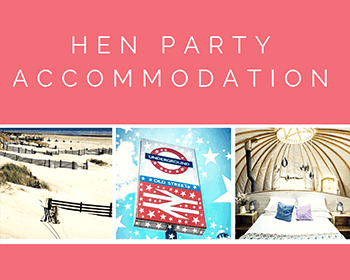 Ask Janie about your hen party! 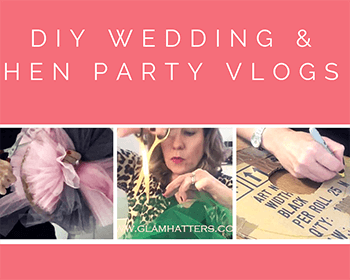 THE GLAM HATTER GIRLS PLAN CREATIVE HEN PARTY WORKSHOPS. 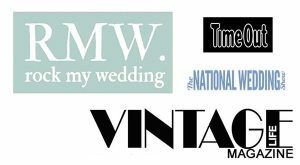 CHOOSE FROM FASCINATOR, FLOWER CROWN, JEWELLERY MAKING WORKSHOPS AND GLITTER PARTY ARTISTS. 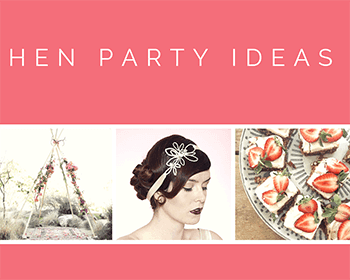 Looking for a creative hen party activity for a stylish bride-to-be? 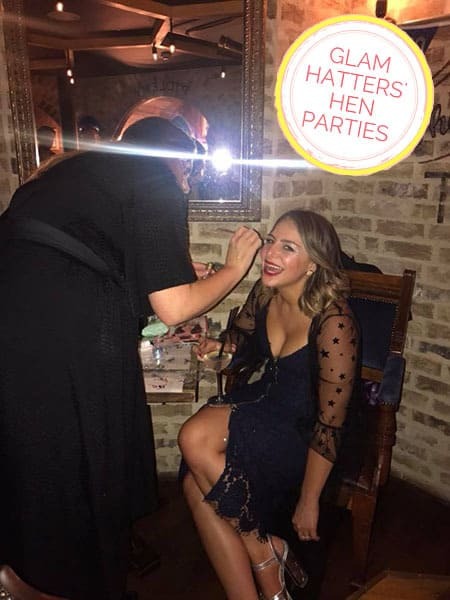 Get in touch and book your hen party activity with the help of The Glam Hatters!